Sorry for the bad picture, I just don’t know how to smile pretty for a camera and this was as close to a none scowl that I could get. I think I’m smiling with my eyes? RBF it is. A few days ago I decided to pick up the What’SUP Hat in store as they only had one left and I had been thinking about it for a few days. I wanted something I could use for my Seawheeze Training but also casually to the pool or wherever. As much as I like the floral print on the Race To Win Run Hat, it just seemed too overtly sporty and it was $32 vs $28. I have a narrow head so hat fits are tough but this one seems to fit well on both loose hair and hair in a ponytail without looking too boxy up top. 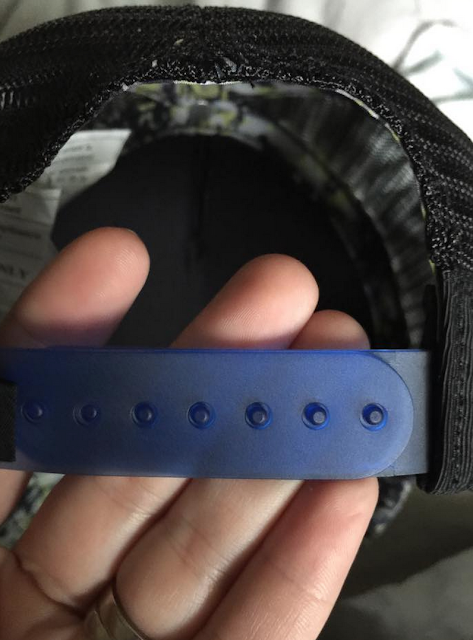 The back of the hat has plastic snaps which make it super easy to adjust over a ponytail while out on a run. 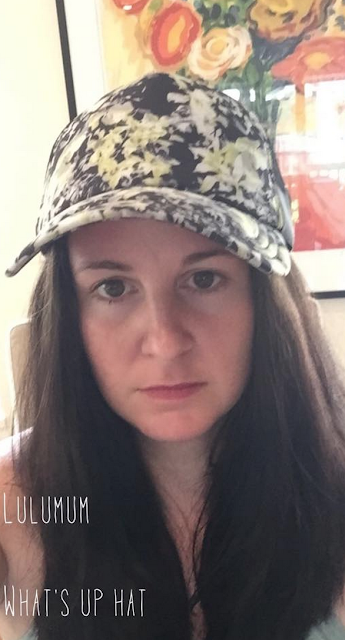 I love that the brim is so long and wide because it really keeps the sun off my face when I’ve forgotten to put sunscreen on. Definitely something I’m needing training for Seawheeze now that summer has pretty much stared in Vancouver. "Inner Essence Skirt, Soft Summer Jacket"
"Product Drop Monday: Heathered Jewelled Magenta and Heathered Poseidon Cool Racerbacks"
Hat looks great. I'm thinking I should probably invest in one. Not liking too much sun these days. This is off topic but I heard that toronto stores had ace dress and skirts already. I am thinking vancouver would get them first and since I haven't seen any promo pics I'm thinking the ed was mistaken. Have you heard anything. I anxiously want the dress and skirt and tank.